THE ball has started rolling for Ash Barty, but Australia's top-ranked woman is determined to keep her resurgence steaming ahead at her home grand slam. Barty - who will begin her Australian Open campaign against Belarusian Aryna Sabalenka on Tuesday - said a lot has changed since her first few tilts at Melbourne Park glory. In her first three Australian Open appearances, the Queenslander failed to make it past the first round. Then came the hiatus, turning her hand to cricket before returning to tennis and making the third round last year. It's "very different to now", Barty said, as she learns to deal with the hype and expectation that comes with being the tournament's 18th seed and Australia's No.1 female player. "I think obviously my experiences sort of in my first career, I suppose, first time around, was very different," she said. "I feel much more comfortable in my own skin. I feel like I'm playing better tennis. I'm more comfortable out on the court. "I can play the way that I want to play." 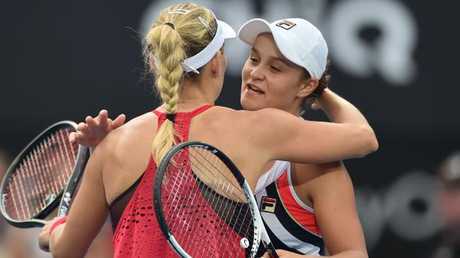 Barty made the final at the Sydney International but was defeated 6-4 6-4 by 2016 Australian Open champion Angelique Kerber. She refused to call it career-best form, rather hoping to turn back the clock and channel the game she produced at the back-end of 2017. "I think we'll have to wait and see (if it is career-best)," Barty said. "I feel like at the end of last year I probably found my best tennis. "It was nice to sort of be able to touch on that a few times in Sydney, as well. "I feel like I'm playing pretty good tennis. It's a new week - a fresh week. Hopefully we can keep the ball rolling from the momentum we created." The world No.17 described playing in her home grand slam as "pure excitement" and is determined to surpass her previous best grand slam result of a third round berth, which occurred at both Melbourne Park and the US Open last year. "I think all the Aussies really love playing at home," she said. "There's nothing better than walking out onto an Australian Open court with the crowd behind you. I think every single player wants to be out here and wants to do well in Australia. "It's no different for me. I'd certainly love to play my best tennis and have my best run in a grand slam here. Fingers crossed I can band it all together and play well this week." 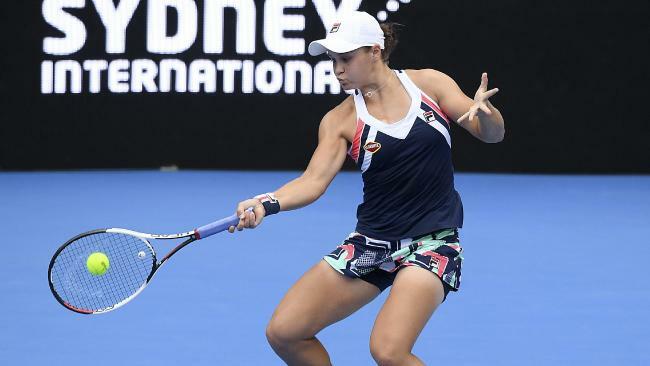 There are four Australian women in action on day one of the tournament, with Barty and Melbourne teenager Destanee Aiava - who will face world No.1 Simona Halep - playing on Tuesday. And Barty believes that Australian women's tennis may never have been stronger. "I feel like we've got more depth than ever," she said. "Especially my time coming through, we've got a really good mix of sort of veterans and young girls coming through. It's a really exciting time to be around women's tennis. We've got sort of a great team feel in Fed Cup and just in the general environment." Last season saw Latvia's Jelena Ostapenko and American Sloane Stephens win grand slams without a seeding, and Barty said that the feeling that any player has a serious chance at winning the title has generated serious buzz. "In women's tennis at the moment, it's really exciting," she said. "There's that mix of veterans still at the top, then young players coming through as well and being dominant in certain areas. "I think it's amazing for the sport to have such an open tournament, open sort of field that's strong and that anyone can win on a given day." Environment Wildlife officers are conducting a spotlight survey to try to locate the animal.